For some people it can be very daunting to have to do a presentation at school or in the work place. Not everyone is comfortable performing or talking in front of a large audience. If this applies to you, then it may be worth preparing your presentation or speech well in advance so that you can feel more relaxed and confident to perform. In this article I will discuss aspects of preparation, the tools for a great presentation, making eye contact, your dress code and how to engage an audience. Whilst this list is by no means definitive, it will hopefully offer you some pointers or ideas in preparing for your presentation. The key to giving a successful presentation could arguably be said to be all in the preparation. If you feel ready and organised then this will translate to your audience and you will come across as more confident and knowledgeable on your subject matter. Therefore, as you go about getting ready for your presentation, keep your notes filled in an organised manner. Color code important information that you may need to refer to and always back up your work in case any technical issues arise. Being prepared affords you more time to go the extra mile with your work and to really make an impact. Consider if you want to give out hand out sheets to your audience or make any of your presentation available online afterwards. Although this may seem like a lot of work or even impossible for some people with busy lifestyles, improving your time management could really be the key for you to increase your productivity at work or school. This could be especially relevant to you if your upcoming presentation involves a huge part of your school grade or a promotion at work. Effectively utilizing tools in your presentation will correlate with higher audience engagement levels. 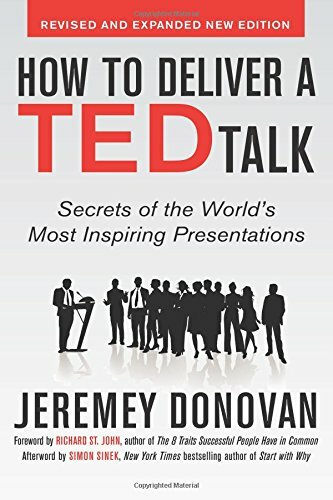 If you stand in one spot on stage for your entire presentation and talk in a monotonous tone, then people would leave not remembering much of what you said. However, if you combine your spoken word with a power point presentation for example, then you will be giving your audience something to latch on to visually. You could even use video and audio examples if they are relevant to your content too. Hand-out sheets with key information on will be helpful as well. Remember that if you are using a board or lectern that it is important to try to stand away from it at times to keep things fresh and more personable. Your tools should not act as a crutch but rather as a support that enhances your content. When talking to an audience, using eye contact is an excellent way to hold people’s attention. An individual will feel far more involved with what you are communicating when you look directly at them. Therefore, trying to ‘meet eyes’ with as many different audience members as you can during your presentation will actually improve the verbal message you are communicating on a more intimate one-on-one level. However, there is certainly a balance that needs to be struck when it comes to making eye contact. If you stare too long at one individual then they may start to feel uncomfortable. Instead, try to keep eye contact time down to no longer than two or three seconds with one specific person at a time. This will help to ensure that an audience member engages with you but does so in a relaxed and comfortable manner. Your dress code for your presentation will largely depend on the type of environment you are in. If you are in a school where there are no uniform rules, then one would want to dress smartly with simple colors to look professional and mature. This would always be the case regardless of the content or subject matter involved in your speech. However, when in an office environment, a smart suit or dress with a jacket for women would be acceptable. If you can inject a touch of color to your outfit then it will add personality and vibrancy. For example, if a gentleman wears a colored tie or a lady chooses a blouse that matches her shoes. This approach shows your audience that you have given thought to how you look and a conscientious approach with your appearance will translate as confidence to your audience. However, you do not want to pick anything that is too colorful or garish because that would look unprofessional. Therefore, stick to neutral toned colors such as navy hues, brown, white, cream and black. The most important thing when it comes to your dress code is to be comfortable in what you are wearing. From the way you stand on stage to the tone of your voice, many physical factors can directly affect your audience’s engagement with the content of your presentation. Try not to remain static on the stage by standing in one place. Instead, walk around from time to time and use hand gestures when appropriate to add emphasis to your words. Try to modulate the tone of your voice as well so that you make the subject you are talking about seem really interesting too. Add a touch of humor to your speech (if it is appropriate), and try to communicate your passion on the subject area by using vocal inflections. Also, remember to ask your audience if they have any questions at the end of your presentation so that they can engage with you further. A smile can go a long way too and could make your audience feel more relaxed. Below is a YouTube video featuring public speaking and presentation skills expert Jason Teteak. He offers tips on how to open your presentation. Lastly, no matter how much you may have rehearsed your speech at home in front of the mirror, you still want it to sound spontaneous. To achieve this is difficult, but by having cue cards rather than a written out speech you can vary the order in which you make your points. This approach will also mean that you will naturally look up more from the page and hopefully you will seem more fluent when talking. Good luck with your presentation and remember that you can learn a lot from watching other people give presentations too. 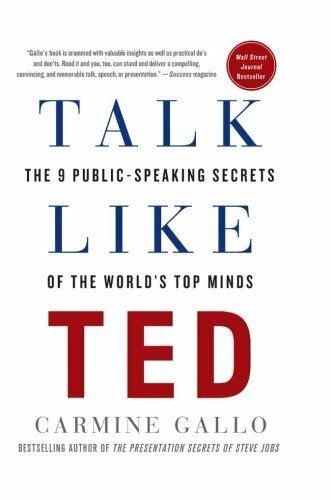 Explore different public speakers online and try to emulate your favorite examples.